Heart's Delight Cards: Stamp Club Christmas Fun! Anyhoo, I'm better now, and this was one of the cards we made. I followed Kylie Bertucci's "Love it, chop it" mantra by using lots of DSP! 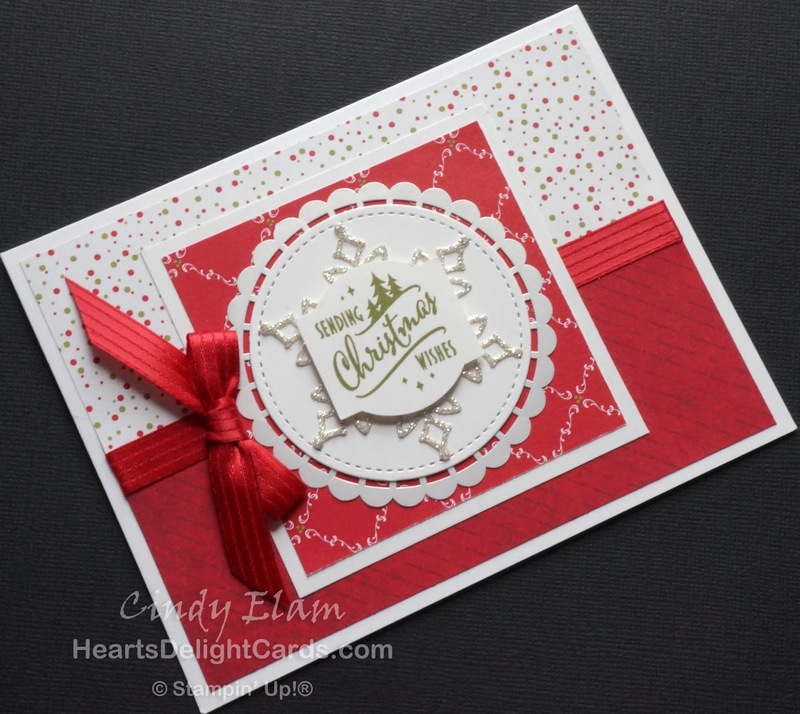 There are patterns from the All is Bright DSP in the Holiday catalog, as well as Under the Mistletoe from the Annual catalog. Lots of layers gong on with this card! Not only the background DSP, but a Pearlized Doily, a stitched circle, a Silver Glimmer snowflake from the Snowfall Thinlits (which ends in Five days! 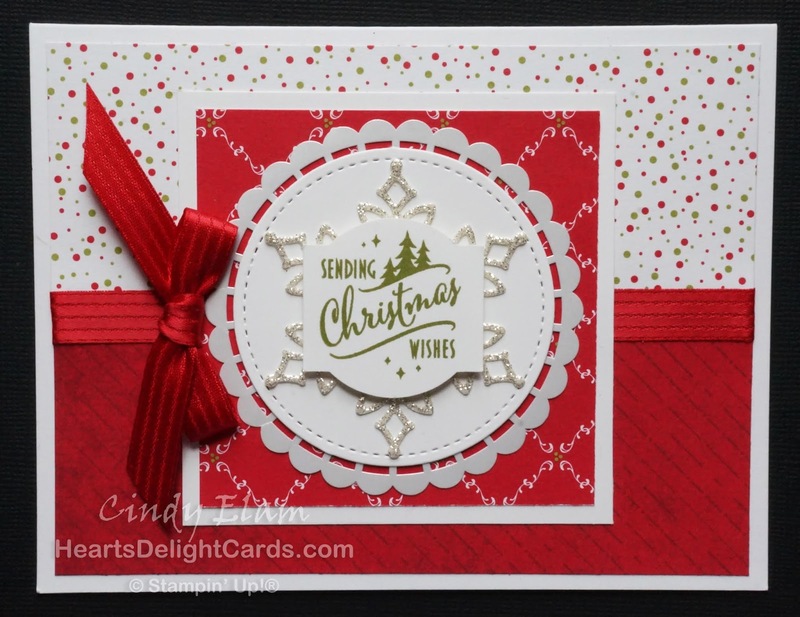 ), AND a punched greeting from the Christmas Traditions Punch Box. Whew! I did cheat a bit with the Real Red stitched satin ribbon, which is retired, since I didn't have any current ribbon that would work. 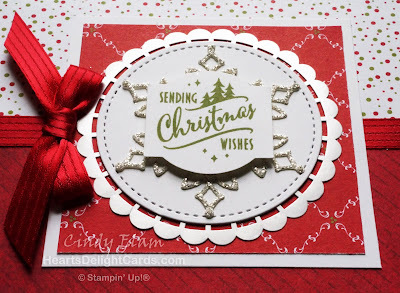 Snowflake: Silver Glimmer Paper 2-1/2" x 2-1/2"
Stitched circle: Whisper White 2-3/4" x 2-3/4"
DSP square: Under the Mistletoe 3" x 3"
Mat: Whisper White 3-1/4" x 3-1/4"
Background DSP: All is Bright & Under the Mistletoe (2) 2" x 5-1/4"